Friends, we find ourselves in a very exciting time indeed. 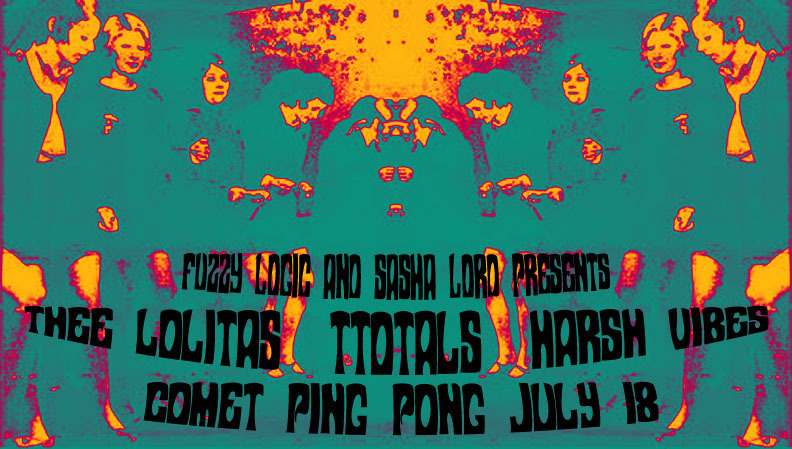 You see, in just a few short hours, one of the events of the year will be going down at Comet Ping Pong. 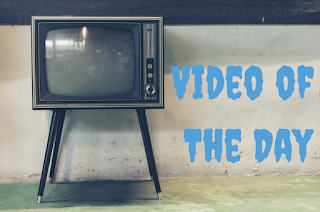 To review, there are three killer bands playing and one great dude spinning great tunes all in one place for your listening pleasure and enjoyment. 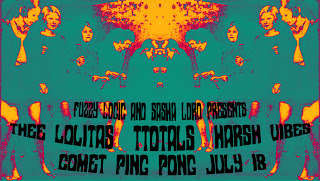 Thee Lolitas: Some of the finest garage rock from Washington D.C.
Harsh Vibes: Five-piece band from Philadelphia. Their music has been described as "fuzzed out shoegazey psychedelic noise rock" and "mutant garage-blues drone". Ttotals: Duo from Nashville, TN creating some of the finest new psychedelic rock music around. They might pay tribute to some of the old greats, but this sound is all their own. Spinning betwixt sets will be Mister Paul Vodra, purveyor of bitchin local internet radio and lover of all things local from Hometown Sounds. It's gonna be a doozy, y'all, and I'm pretty sure the only reason it's so hot out is cuz the weather's trying to compete with the sizzle of this here bill. Come on down to Comet and judge for yourself. Stuff'll get going at 9, so make sure you're on time.